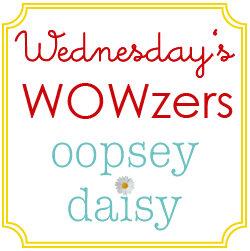 Pink Tea is another new blog out there (hooray for new bloggers! 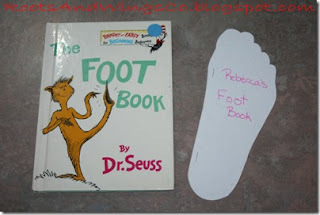 ), and she has been doing adorable Dr. Seuss activities for the past few days. You're not going to believe this cute onesie! 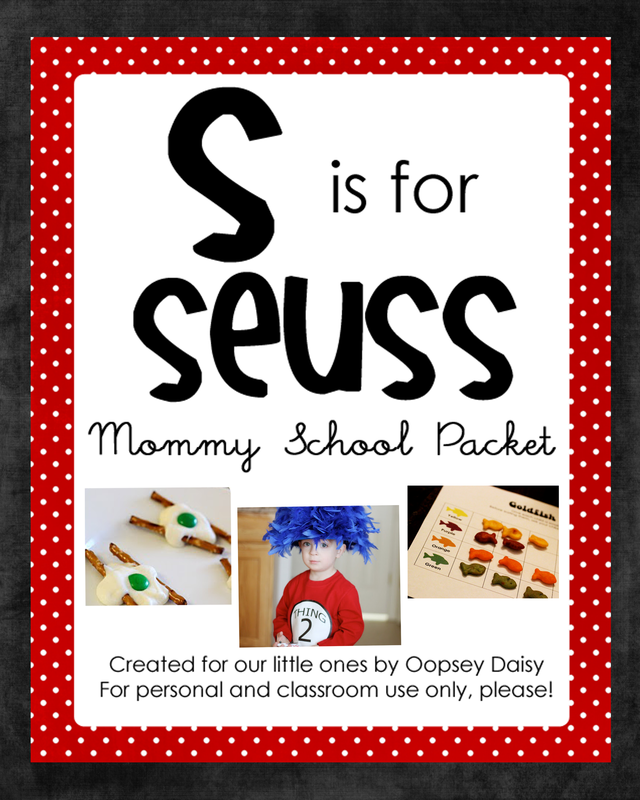 I may whip one up even though it will be too late for all of the Seuss action!! 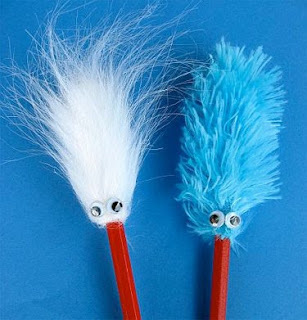 Skip to My Lou shows how to make Thing 1/Thing 2 pencils. 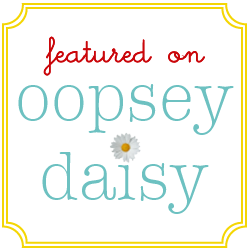 The recipe for oobleck is also featured here. 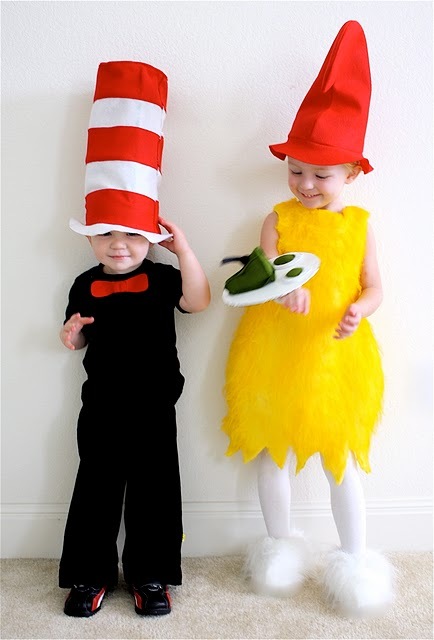 Dana from Made shows off her adorable kids' costumes for "Cat and the Hat" and "Sam I Am." At some point or another, I am definitely making at least one of these--perhaps for myself. Hmmm. 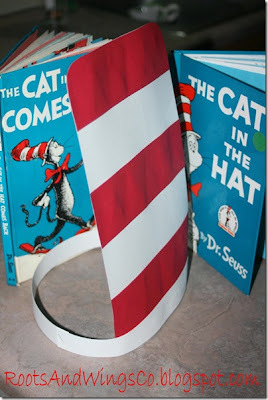 I borrowed some of the ideas from Roots & Wings Co. for our Dr. Seuss party last night. Check out her "Cat and the Hat" headbands and the "Foot Books" she created. What wonderful hands-on ideas! 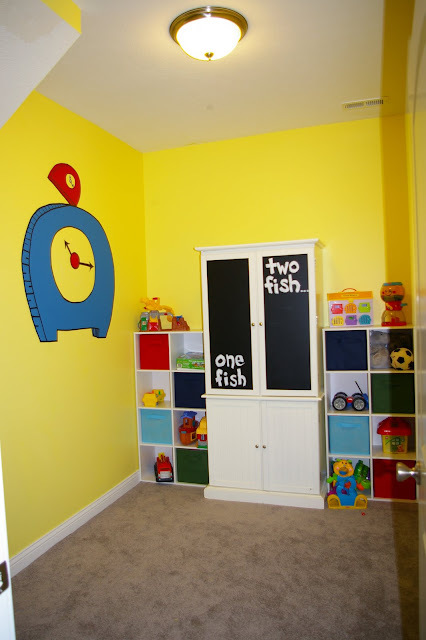 Have you seen any other fabulous Dr. Seuss ideas this week?? It's not too late to celebrate!! what a great round-up of ideas. 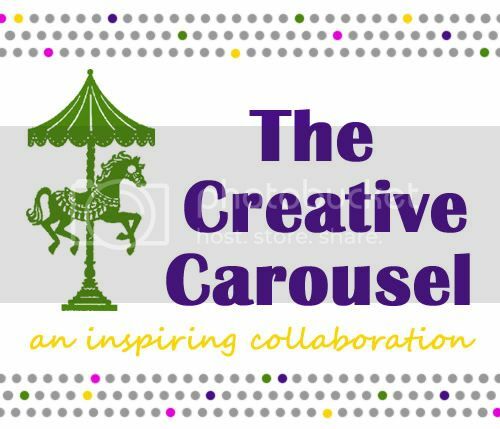 Thanks for linking to MADE! 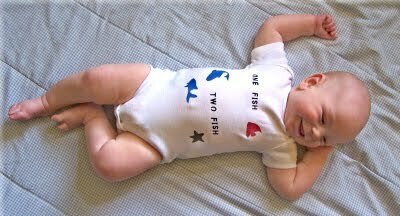 What a cute lil onsie! Thanks for linking to my project. I love the ideas you captured here. Dr Seuss is just plain fun. Thanks for the shout out sweet thang!